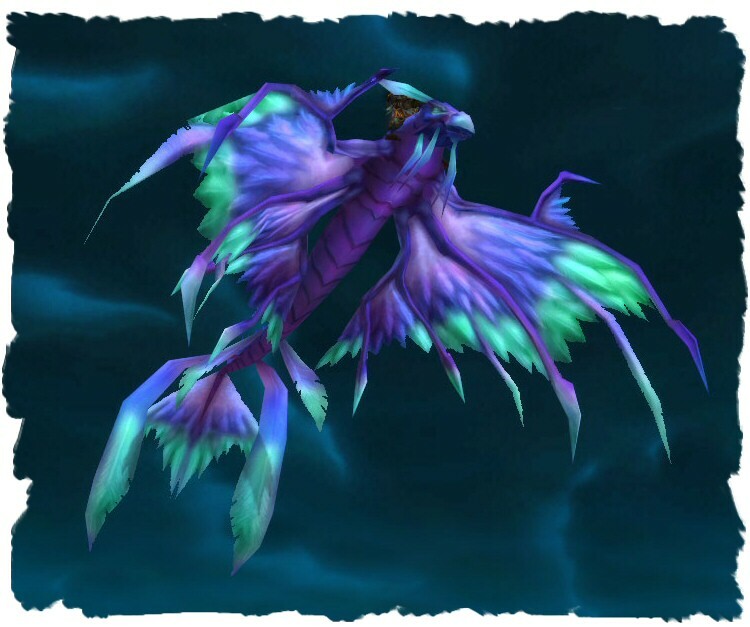 The Mounts, They are Purple! Ladies and Gentlemen, we present Mount #99 in the Mountain of Mounts Achievement. In the end it was all downhill. Early morning runs with no-one else to compete with for mobs tipped the balance: while I was finishing this one off a fellow Guildie managed to grab BOTH mounts from ZG in the space of a couple of days… and snagged the Red AQ40 mount to boot. This proves beyond a shadow of a doubt my luck in instances only applies to VoA, everywhere else fails. Hard work wins the day, and the stripy purple cat. Two days later, and I had enough Crusader’s Seals to finally finish the task. The biggest single disappointment is that this mount doesn’t scale to 310%, which means it’s really not as attractive as the Rocket for actually getting from A to B. Still, as was the case with Original Flavour Loremaster it’s cool to have done it before everybody has one. W the Lock has been working on her fishing (she’s getting very close to being my second alt to 450 skill ^^) and was lucky enough to be the recipient of the much-anticipated first pair of ICC Crafted Footwear (in her case the Deathfrost Boots) Expect to find her mooching around Shatt trying to complete Old Man Barlowned in the next week or so. M the Rogue continued the trend of Ownage in VoA with the ilevel 245 Rogue Gloves. Expect to see her sneaking her way into a 25 man on reset in an attempt to upgrade both them and her legs even further. M the Druid has done rather well on the upgradeage front via some judicious ICC PuGgage. Abracadaver and Boots of the Frozen Seed both dropped her way, plus she’s been able to upgrade her Ashen Verdict ring. M the Shaman has had similarly good fortune in Icecrown (including participation in the Guild’s first Blood Princes kill in 10 man (go us!) and was able to upgrade to Midnight Sun as her main hand poking implement of choice (a suitable shield still eludes her however. Don’t make me go to HoR Heroic for the Shriveled Heart, please!) There’s also been random achievings, including the surprise 10 Tabards after her first Ahune Kill.